Bed was comfortable. Quite space and out of the traffic area. Small amount of rooms. Friendly staff. Location was good, very close to the T2 tram station that goes to the airport. The room was rather small, but it had plenty amenities like safe, fridge, cattle, hairdryer, even PC (didn't try to use the PC though). small hotel with good facilities inside ,good breakfast as well.. the girl at reception( dont know the name) helped us a lot with parking and everything what we needed to check in, she makes u feel welcomed at any time . The staff were so friendly and helpful. Most days I left before breakfast started and, after noticing this, they put a kettle in my room so I could grab a coffee before leaving. They also offered to make some food for me to keep in my room to take with me. So thoughtful. It was most appreciated. ... The room was cosy, but there was plenty of room for all my things. Also, I can sometimes find it difficult to sleep if there's too much light coming in to the room (from outside, under the door, etc), but this room was really dark, so it was great. ... Honestly, I would have struggled to get my suitcase up the stairs, but for Maggie it was no trouble. Impressive! The bed was very comfortable and the room was clean. It is also in a quiet area, so you can sleep well. What I liked most was the staff - the three hosts were really friendly and went out of the way to help. Couple of days when we were leaving early, they packed breakfast for us, which I thought was a very nice gesture. Yes, you have to go up and down a couple of floors - but it keeps us fit, right? Larger than average room which was nicely decorated and furnished. Also very nice staff helped us book tickets for places that we wanted to visit. Petit déjeuner :C’etait simple mais conviviale, il manquait du pain frais et du jus de fruit frais. La ubicación, cerca de la estación para desplazarse. La zona es muy tranquila para salir por la noche. Tiene comercios cerca de todo tipos. Es lo que nos ayudo a cenar, tomar un café, comprar en un supermercado. Hotel Borgo This rating is a reflection of how the property compares to the industry standard when it comes to price, facilities and services available. It's based on a self-evaluation by the property. Use this rating to help choose your stay! Hotel Borgo is in the historic center of Florence, right near the Arno River. 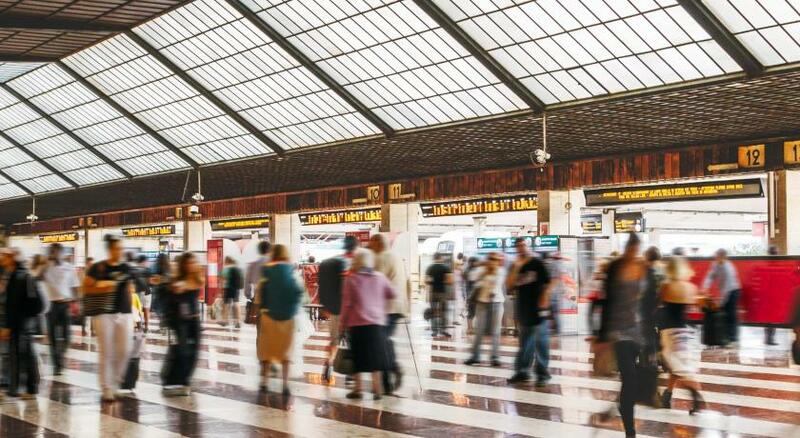 The main railway station and public buses are just a 5-minute walk away. Set in a 18th-century building, rooms at the Borgo Hotel are equipped with LCD TV, air conditioning and a personal computer with free Wi-Fi. The Ponte Vecchio and the Duomo are within comfortable walking distance. 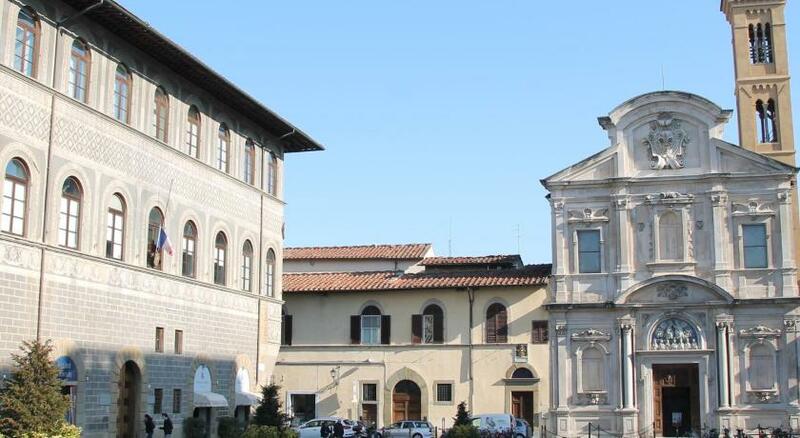 The Santa Maria Novella Basilica is nearby. When would you like to stay at Hotel Borgo? This room features air conditioning, an LCD TV, and a personal computer with free Wi-Fi. A mini-bar is available on request. This large room features air conditioning, an LCD TV, and a personal computer with free Wi-Fi. A mini-bar is available on request. Large room with LCD TV and a PC with free internet access. Minibar upon request. This large room has a small double bed. It features air conditioning, an LCD TV, and a personal computer with free Wi-Fi. A mini-bar is available on request. House Rules Hotel Borgo takes special requests – add in the next step! Hotel Borgo accepts these cards and reserves the right to temporarily hold an amount prior to arrival. Reception is open from 7:30 until 20:30. The room is old and humid and and there is mould in bathroom. The breakfast was very poor and it was quite noisy outside. The reception is in front of the room, so you can hear everything. Broken curtains mechanism that did not allow to close them fully. The maintenance must be aware of this, since they opened and folded them every morning. Shower head is fixed high on the wall, which makes it impossible not to wet your hair during shower. Plus, the shower head was clogged with calcium. Breakfast only from 8 am, so not recommended for business travelers. put e bigger sign ( HOTEL BORGO) outside in the wall so people see where the hotel is. There was a strange smell in reception, but it may have been coming from outside where work was being undertaken? My room was fine. .... A maybe to have a toaster in the dining area, rather than a sandwich press? ... A lift would be great, but I understood they didn't have one before arriving. This hotel wouldn't suit anyone with limited mobility as there are 41 steps to negotiate and no lift. Also one of the down sides to small boutique hotels is that they have limited facilities e.g. no restaurant, bar or lounge area, but things could be improved with tea and coffee in the room or access to drinks. First off - It does NOT have an elevator, and they state its the 2nd floor, but be aware there is 6 floors to walk. About 7-8 steps each. Too much for me to do. They will come help you though. Staff is not 24 hrs. Rooms small but fine. Shower is fine, but bathroom overall is tiny. NO English speaking news or TV channels. Small place that caters to a small number of people which some folks like. Breakfast was ok. WIFI was NOT GOOD. Please fix. Limited.